LC-310 High-performance Liquid Chromatograph is launched by Skyray Instrument with years of comprehensive experience in research and development of LC, representing that Skyray Instrument has reached a new height in R&D of LC and achieving the best balance in high performance, high stability and usage of LC. 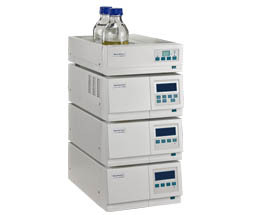 Skyray Instrument will offer you the liquid chromatograph of the best performance. LC-310 High-performance Liquid Chromatograph has improved its separation, sensitivity, speed, accuracy and stability. Advanced series pump and check valve incorporated the world most advanced experiences in manufacturing and application, ensuring the user can achieve the accuracy and pulsation of solvent deliver. The minimum system dead volume helps to improve the working ability 100%. LC-310 HPLC has provided complete solution to liquid chromatography. The above configurations may vary upon users’ requirements.